Minnesota Liquor Laws have a reputation of being strict. In fact, a few of the state's laws regarding liquor date back to the 1800s, making some people think they are antiquated. Yet, with a legal drinking age of 21 (like many states, and with some exceptions), Minnesota isn't quite the harshest of states when it comes to liquor consumption. States like Alabama, Arkansas, Idaho, New Hampshire, and West Virginia are far stricter. And still others, like Utah, don't allow for privately-owned retail liquor stores, as state-run shops are the only option. In the mid-1800s, immigrants and older residents of Minneapolis grappled over the role liquor should play in their city. The Scandinavian mayor at the time butted heads with the Irish, Polish and German newcomers who liked to enjoy libations on the regular. A compromise was eventually met, which resulted in Liquor Patrol Limits (LPL), places where liquor could be bought and consumed in the city. There were exceptions to the LPL ordinance, however, as several establishments outside of salable limits were allowed to offer products that contained 3.2 percent alcohol or less. Today, evidence of these early restrictions is still in place. Some residents and visitors feel like the liquor stores (in certain areas) are few and far between. 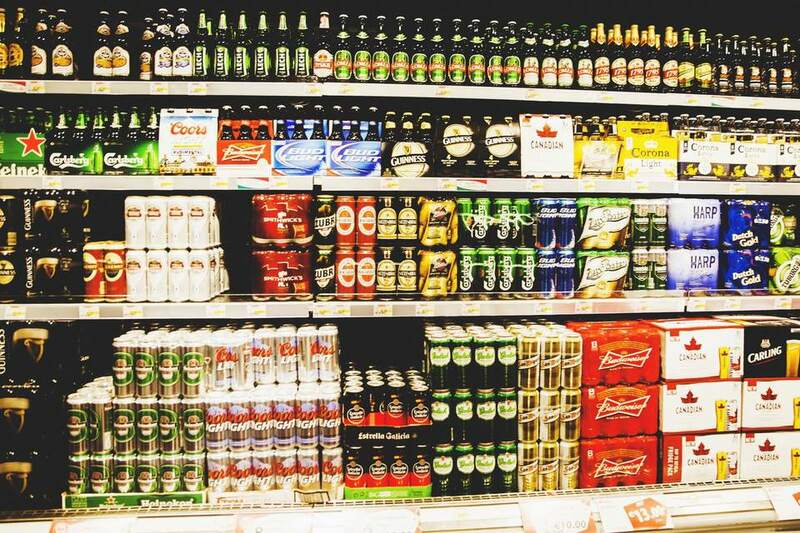 And, 3.2 percent beer can be found on supermarket shelves. In Minnesota, the sale of liquor at retail is restricted to licensed liquor stores. You cannot find bottles of spirits in supermarkets or gas station, as you can in the neighboring state of Wisconsin. There are instances, however, where certain supermarkets operate their own liquor store right next door to their food store (notably, Trader Joe's), making it convenient for shoppers to purchase both their groceries and their liquor, without driving down the street. Liquor can also be purchased at licensed bars, microbreweries, brewpubs, distilleries, and farm wineries. Yet off-sale rules are specific to both the venue's location and the type of license they hold. Liquor stores in Minnesota operate from 8 a.m. to 10 p.m. Monday through Saturday and on Sundays from 11 a.m. until 6 p.m. Sunday liquor sales used to be banned, but thanks to a law passed in 2017, some stores—but not all—now choose to be open. Certain cities restrict liquor sale hours even further, with St. Paul enforcing a closure at 8 p.m. Monday through Thursday. All liquor stores throughout the state are closed Thanksgiving Day and Christmas Day, to observe the holiday. And, liquor sales on Christmas Eve conclude at 8 p.m. Bars, breweries, and eating establishments that sell liquor for on-site consumption close at 2 a.m. The standard drinking age in Minnesota is 21. This means you cannot buy, possess, or consume liquor in public if you are under the age of 21. A minor also cannot misrepresent his or her age in order to purchase liquor. And, it is also illegal to buy liquor for or attempt to sell liquor to anyone under 21. However, underage drinking is permitted under parental supervision in the privacy a parent or guardian's home. Retail liquor licenses cannot be issued to anyone under the age of 21, any person who has held a liquor license that was revoked, or anyone who has committed a violation of state alcohol laws within five years of the application. Also, liquor licenses are not authorized to those having a direct or indirect interest in a liquor manufacturing or distributing business. A licensed liquor store can only sell a 7-gallon keg with a valid registration sticker attached to it. The store must also record the purchaser's license number, the date of purchase, and the registration number of the keg at the time of purchase. Some cities in Minnesota don't permit privately-owned liquor stores at all. Instead, the city operates one or more liquor stores itself and uses the profits for public projects. Brooklyn Center and Edina are among a few metropolitan-area cities that have city-run stores. These liquor stores abide by different rules and hours of operation than their state-run counterparts. Minnesota's liquor laws are starkly different from neighboring Wisconsin. Wisconsin sells beer, wine, and spirits in both supermarkets and gas stations—and even on Sunday. Grain alcohol can be sold in Wisconsin (but not in Minnesota). And in the event of a store closing, you are permitted to drive to Wisconsin and buy liquor over the border, then bring it back to Minnesota.